We can supply Equipment Racks from various manufacturers, and these can be for any industry. We offer a service of pre-build Broadcast equipment racks, server racks and computer cabinets wired at our premises and then delivered to site. This is a very cost-effective method of reducing time on site. Alternatively, we can just build and install on site if you prefer. Whilst cabling we can install the equipment and fit blanks where necessary, thereby completely finishing the server rack/computer cabinets ready for testing/commissioning. 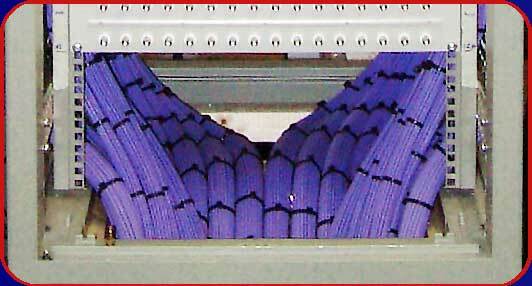 We have cabled racks for a variety of customers, such as Film Companies, Facility Houses, Studios, AV suites, Computer installs and freelance Engineers. Installations for CAT 5 can also be pre-built at our premises. 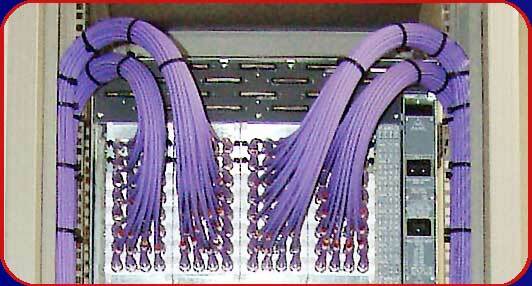 © Copyright 2008: AB Cable and Wiring. All Rights Reserved.